Start Time: Times vary. Please select a specific date to see availability. Walk in the footsteps of Gladiators, as you explore the special-access Colosseum Arena Floor via the ‘Gladiator’s Gate’. 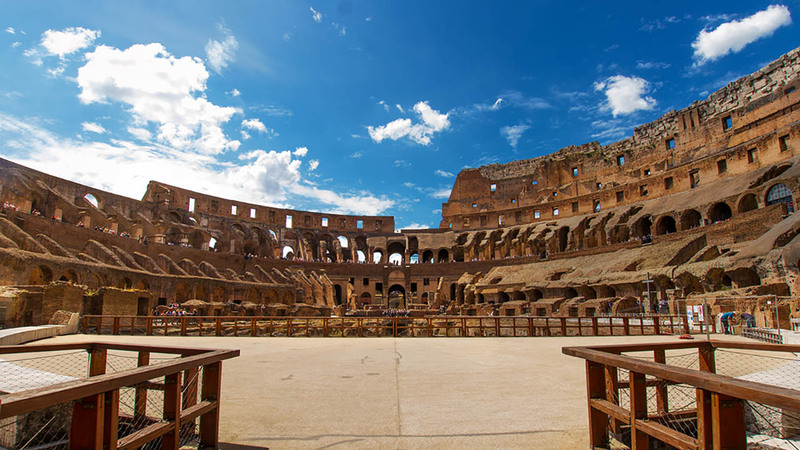 This is the most affordable special access Colosseum tour on the market. Save time at the Colosseum bypassing even the small lines at the ‘skip the line’ entrance. You won’t wait in line at the Palatine Hill or Roman Forum either. Step out of the highly-trafficked areas of Rome's most famous attraction with this special-access Colosseum arena floor tour. You’ll enter the Colosseum via the ‘Gladiator’s Gate’ – the side entrance once used exclusively by gladiators. 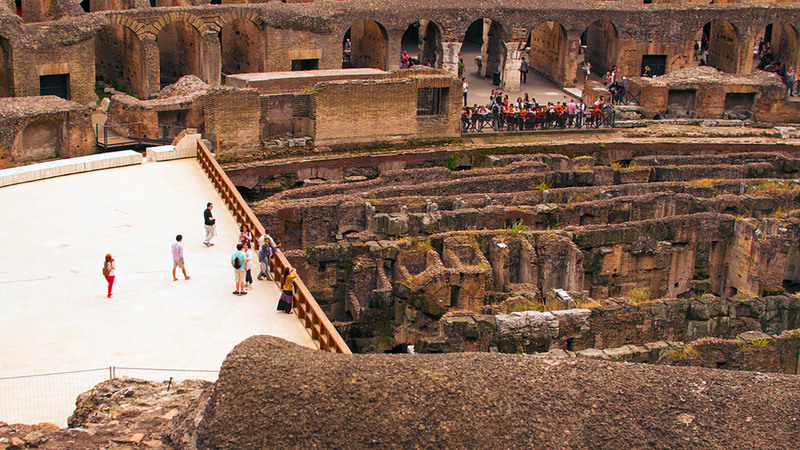 This VIP entrance is not only the quickest way to get into the Colosseum; it gives you the full gladiator-eye-view of what it was like to enter the amphitheater for combat nearly 2,000 years ago. Once inside, you'll embark on an in-depth Colosseum Arena Floor tour. Standing on a wooden reconstruction of the original arena floor you'll have amazing, 360-degree views of the Colosseum. This area is Closed to the general public, so it's also one of the best places to soak up the majesty of the building and listen to your expert guide tell stories about the famous blood sports that once took place in the very place where you are standing. 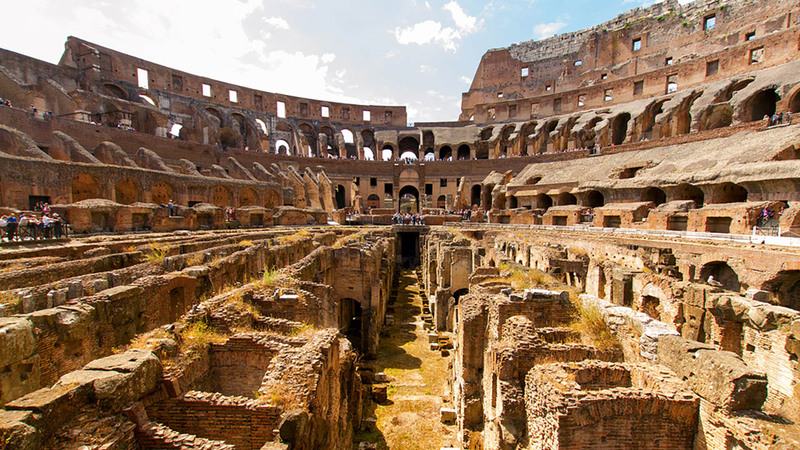 After your Colosseum arena floor tour you'll also get to explore the general access areas of monumental buidling with your guide and group of no more than 25 people. Over the course of an hour, you'll see the first and second tiers, including a balcony offering a great viewpoing over the Roman Forum and Arch of Constantine. Leaving the Colosseum, you'll skip the line into the Roman Forum and Palatine Hill for a fully-guided tour of the center of ancient Rome. Because they are active archeological sites, these attractions can be difficult to decipher, but with an expert guide to lead you the ruins will come to life. Highlights include the cremation point of Julius Caesar, Senate buildings, opulent palaces, and the Temple of the Vestal Virgins. 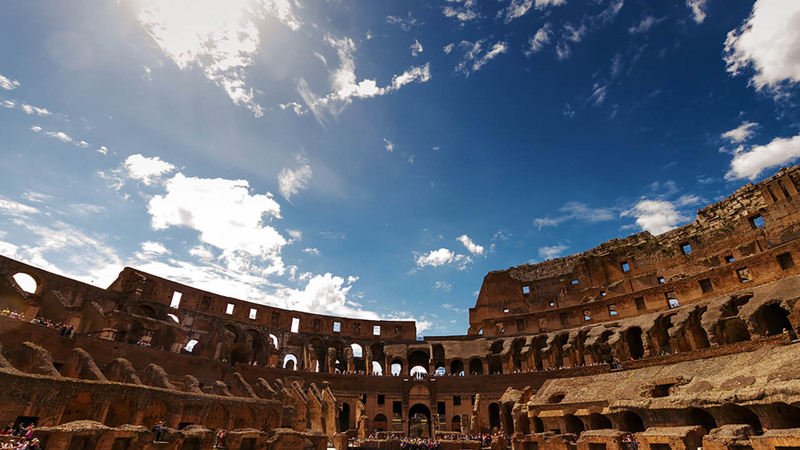 We've kept this tour affordable by increasing our group size to larger than our standard (although still smaller than a lot of other Colosseum tour operators). At 25 people or fewer, your tour will be a little less intimate than our Premium Colosseum Tour but it won't be cattle-herding either. We include headsets for every guest, so you won’t have to struggle to hear your guide, which is a good thing because they're well worth hearing. 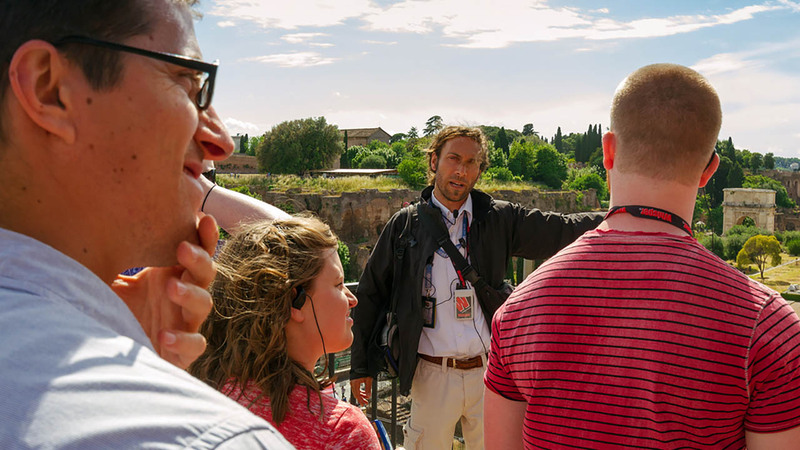 Throughout the tour, your guide will focus more on the stories and legends of these sites than a long list of dates and emperors, so you leave with a vivid picture of what life was like in Ancient Rome and a handful of stories you'll be repeating for years to come. Tour guide is what really made this tour special! She was so knowledgeable and personable. This was a wonderful tour and our guide, Jowinta, was so knowledgeable and easy to understand. This was the highlight of our trip to Rome! Our guide (I think her name was Maria Gracia) was excellent. She was very knowledgeable and passionate about the history of the Colosseum and the Roman Forum. Even when it started to rain pretty steadily halfway through the tour, she didn't miss a beat. It was a pleasure to be on her tour. Her passion was infectious! The meeting place was not too hard to find and the logistics of the tour was well organized. This is a very professional company and I would highly recommend this tour. Fantastic tour! Our guide was personable and friendly and her passion for Roman history was very informative and infectious! My only feedback is to maybe begin the tour in the forum and end in the Colosseum. Or at least allow 30 minutes of free time in the Colosseum to walk independently or visit the gift shop. If you end in the Forum then you have all day to spend there so you can take as much time as you want. Overall I loved the tour and I would for sure book again in the future. At the Colosseum, Roman Forum and Palatine Hill only small backpacks and regular-size handbags are allowed inside. Guests with larger bags will not be allowed to enter (there are no storage facilities). All guests visiting the Colosseum must pass through a security check before entering. You must also present an original photo ID. Please remember to BRING your ID (including children). The Colosseum and Roman Forum are ancient sites that are neither wheelchair nor stroller friendly. Please contact our Customer Care team for more details at info@walksofitaly.com.